Robert Watson is one of the few true conversions in Roncesvalles. For that reason alone, it’s unique. This vintage conversion of a former candy factory features exceptional style, from 16 foot wood ceilings and polished concrete floors to extensive exposed brick and oversized windows. With its privileged location on the inner courtyard location, this home also features a large private garden and direct access to the outdoors. Abundant space is provided by two bedrooms and two full baths, thanks to extensive modifications and upgrades from the original builder’s plan. 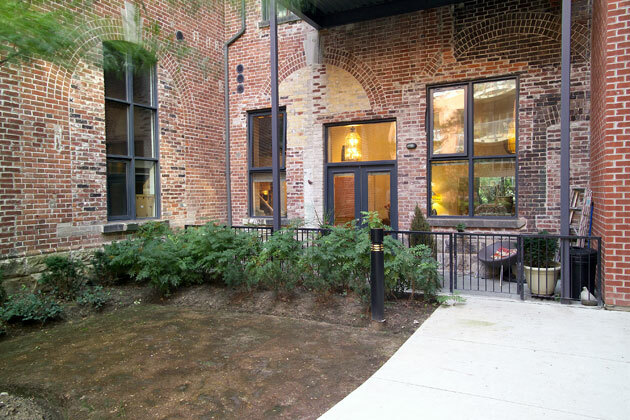 An exceptional vintage loft in exciting Roncesvalles. A perfect combination.